The newly unveiled iPhone 8 Plus is the bigger sibling of Apple’s latest flagship iPhone 8. It shows off similar premium design and same powerful processor, but comes with dual-lens rear camera setup. 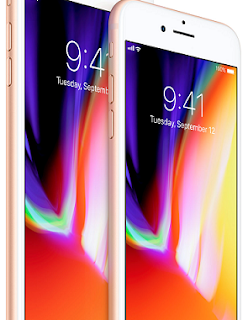 Pre-orders for the iPhone 8 Plus will begin on September 15, while the device will hit stores starting September 22, 2017. iPhone 8 Plus is available in 64GB and 256GB models at $799 and $949 respectively. The iPhone 8 Plus is not yet available in Nigeria, Kenya, or Ghana and we have no info on official pricing and availability at this time. iPhone 8 Plus Price in Nigeria is expected to range from 300,000 Naira to 490,000 Naira, depending on your location and built-in storage. Price in Ghana is expected to start at around 3,200 GH₵. iPhone 8 Plus Price in Kenya is expected to start at around 99,999 KSh.